Home News How Machine Learning with Python has changed the Computing ways? Machine learning and artificial intelligence are very difficult topics to learn due to the availability of many resources. The development of the field is on the way and the rapid development is very difficult to cope up with. A learner should always update himself with the knowledge related to the development of machine learning. He can do this by joining a community, which includes the contributors in the open source projects. There are many machine learning projects with Python, which the learners can join to know more about machine learning. Machine learning with Python has a bright future and it can provide great advantages to small and large companies. Machine learning will make all the tasks automatic, which are being done manually today. Python is considered as one of the best languages to learn machine learning. If a candidate has to make a career in machine learning with Python, he can make a wise decision to undertake a Python programming certification course that provides useful insights about the latest techniques. There are many projects that are going on in which machine learning is being done by Python. The most popular of them are TensorFlow, Theano, and Caffe. Other projects are as follows. TensorFlow was developed by a Google Brain Team who were doing research in machine learning. This system helped in machine learning research and implementing it from research prototype to a production system. This library consists of different tools that are used for data analysis and data mining. The library is developed in such a way that it can be reused again. The main Python libraries used to develop this library are NumPy, SciPy, and matplotlib. Keras library is written in Python, which can run on top of Tensorflow, Theano, and CNTK. The API is based on neural networks. This API is based on Tensors and neural networks. It comes with strong GPU acceleration. The API can be used easily and developers can make dynamic computation graphs through this API. The API is helpful when the developers do not know how much memory is being consumed. The mathematical expressions can be defined and evaluated through this API. This will help the learners to implement multi-dimensional arrays successfully. It is a free library which helps the developers to make efficient mathematical code in their applications. This library comes with many features like statistical semantics, analysis of plain text documents for semantic structure, and retrieval of such documents semantically. The developers can use this library to process raw and plaintext. Many algorithms are included in the library which helps the developers to perform the task. This is a framework, which comes with speed, modularity, and expression. Berkeley Vision and Learning Center developed this framework which can be configured without any hard coding and developers can use a single flag to work between CPU and GPU. It is an open source framework that helps in implementing deep range models like neural networks, and variational auto-encoders. The implementation is very flexible and is a means of high performance. Users can perform various kinds of tests and use a statistical model on the basis of statistics through this module. This module includes a list of descriptive statistics along with statistical tests and function plotting. It is a toolbox for machine learning, which includes various types of machine learning methods. Multiple data representation can be combined using this toolbox. Along with this, algorithm classes and general-purpose tools can also be implemented. It is a machine learning library, which works on top of Theano. The plugging related to Pylearn2 can be developed with the help of mathematical expressions. The task of Theano is to optimize and stabilize the expressions and can be compiled for either CPU or GPU. It is an open source project, which includes Hierarchical Temporal Memory (HTM). HTM is a theory of neocortex and has been tested and implemented in various applications. HTM is still in the process of developing. Neon is a library based on Python and it is a deep learning library, which helps in high-performance of an application easily. Developers can use this framework for visualization. The code written through this library can be implemented on any CPU or GPU. It is a module of Python through which developers can learn statistics on the basis of NeuroImaging data. It can be used up to its maximum advantage with the help of scikit-learn toolbox developed in Python. Users can implement multivariate statistics in their applications. Such statistics include classification of predictive modeling, decoding, or connectivity analysis. Oramge3 is an open source toolbox which can be used for machine learning and visualizing data. Developers can use it to analyze interactive data workflows with the help of this large toolbox. Implementation of Bayesian statistical model can be done by Pymc model. The module is developed in Python and can be used for implementing the stats. This module can be used to resolve a large number of problems while developing an application. It is a framework which is used for rapid prototyping and testing various types of ideas. The framework is used to make explicit algorithms and transparent data structures. The module is used to work on SCOOP. Annoy is a library developed in C++ and bound with Python. This library is used to create a data structure on the basis of read-only files. These data structures can be mapped into memory, which helps to share the same data among many processes. It is a library developed in Python and is a machine learning library. The algorithms in this library are powerful and easy to use. These algorithms can be used for machine learning tasks and predefined environments of various types. These environments can be used to test and compare the algorithms. Fuel is a data pipeline network, which helps in providing data to the models of machine learning. Blocks and Pylearn2 are the machine learning libraries, which use this data network pipeline. The developers who want to learn machine learning with Python must have some basic knowledge of Python programming. Since Python is a very popular language so learning its basics is not difficult as there are many beginner and advanced tutorials available online. Next thing that the learner should know is the fundamentals of machine learning. The learners should have basic knowledge regarding the algorithms used in machine learning. Next thing that the learner should know is the packages of Python. There is a large library in Python, which can be used for various types of applications. These are open-source libraries, which can help in making applications related to machine learning. The next step is to implement a machine learning algorithm with the help of Python. This can be done by various machine learning libraries. The main library is scikit-learn. The learner should learn Python deeply to implement machine learning with Python. Machine learning with Python is a vast subject and the developers should be familiar with both of them in order to implement Python programming in machine learning. 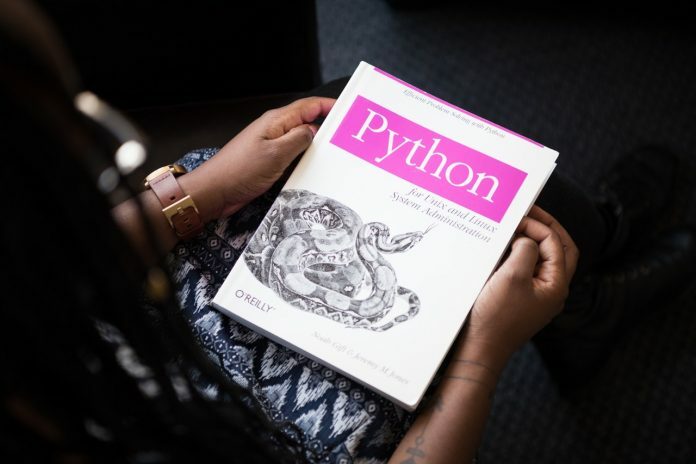 Python is very easy to learn as developers need not to do much programming. Everything is available in the packages and the developers should know how to implement them. Each package has many classes and functions, which a developer can easily use to develop an application. There are many packages in the language that can be implemented in machine learning and the people who want to make a career in it must have the knowledge of these packages. Previous articleWhat Is the Significance of India Legalising Crypto Currency? Next articleHow to Make Sure Crucial Business Data Stays Safe When Employees Leave?